Here's a quick roundup of stories you may have missed from today. This is the Broadway equivalent of last November's battle between Justin Bieber's Purpose versus One Direction's Made in the A.M.! Tony winners and original Wicked co-stars Idina Menzel and Kristin Chenoweth will both release their new albums on the same day next month. 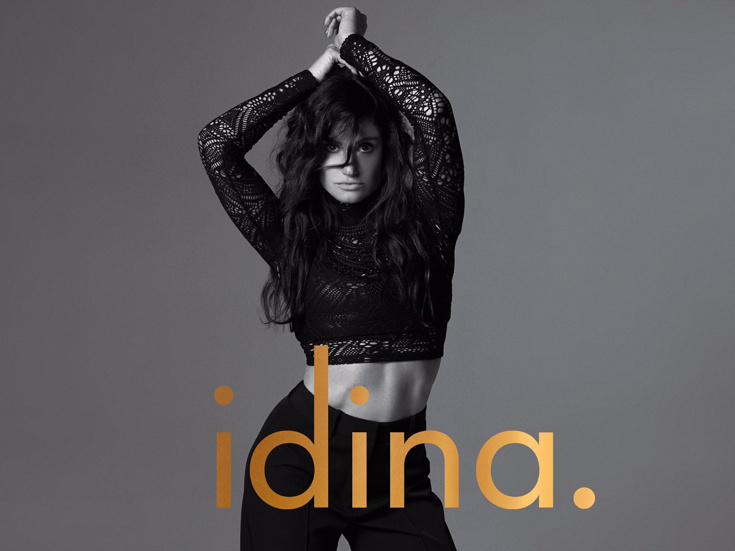 In a recent Facebook live post, Menzel revealed that her fifth studio album, idina., will drop on September 23. About the title’s punctuation, the Broadway supernova said: “There’s a little period after it that kind of gives a little attitude, but that’s just ‘cause of those, like, four guys that bullied me in middle school that always screwed up my name. And then maybe one older guy a little more recently.” We all remember that, Adele Dazeem. Meanwhile, Chenoweth posted the below picture on social media, alluding to her new record. We’re doing our best to not make a “Popular” joke right now. The troubled musical Rebecca, which went under scrutiny by the S.E.C. after a fraud scheme came to light involving fictitious investors, will be the subject of a new episode of CNBC’s American Greed. Narrated by Stacy Keach, the episode, titled The Phantom Fraudster of Broadway, will air on August 11. Broadway alum Ruby Rakos (Billy Elliot: The Musical) will don the famous ruby slippers as she takes on the role of Frances Gumm/Judy Garland in Goodspeed’s Chasing Rainbows: The Road to Oz. Directed by Tyne Rafaeli, the new tuner, which follows a young Garland, will run September 16 through November 27 at the prestigious venue in East Haddam, Connecticut. Featuring a book by Marc Acito (Allegiance) and songs the legend made famous throughout her career, the show is conceived by Tina Marie Casamento Libby, adapted by David Libby and will also star Kevin Earley as Frank Gumm, Sally Wilfert as Ethel Gumm and Michael Wartella as Mickey Rooney. Julie Taymor, the director behind The Lion King—and Spider-Man: Turn Off the Dark—is returning to Broadway. “Oh, I’m coming back, but it hasn’t been announced yet,” the Tony winner told the New York Post. “But you’ll see me next spring or next winter.” We will keep you posted! And, just because it’s Friday, check out below the performance of "The Circle of Life" that opened the 2008 Tony Awards, which celebrated The Lion King’s 10th year on Broadway. You're welcome!